Our nursery offers a motivating and challenging environment that will engage children right from the start. It is a well-known fact that happy children learn and that they need to learn through a range of well-planned and purposeful play activities. Building secure relationships is key to future success as children gain in confidence when encouraged to become independent learners. Our experienced lead teacher is supported by highly qualified assistants, who work as a team to offer a dynamic environment in which children thrive socially, emotionally and academically. It is our priority to offer a wide range of learning experiences within the nursery. 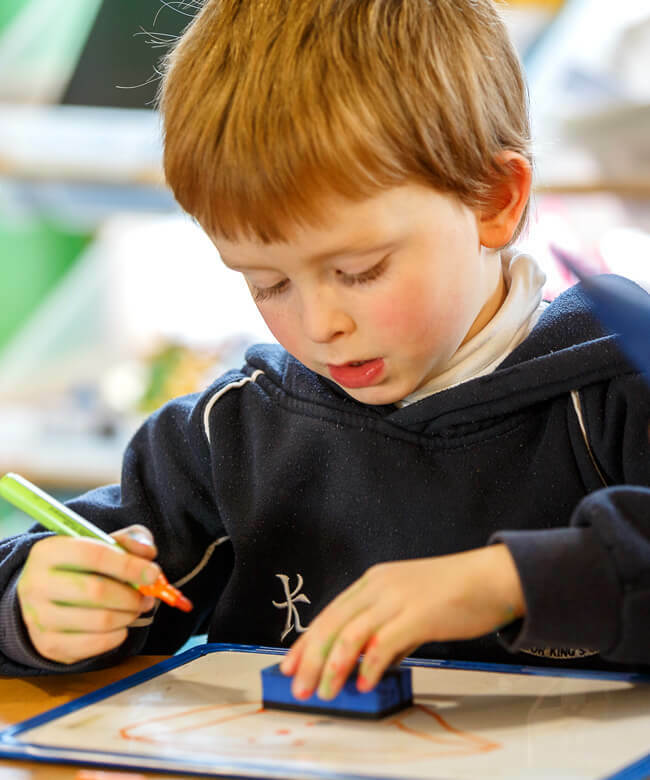 With French, Dance and Music taught by specialist teachers, throughout the whole of the Pre-Prep, the curriculum is enriched and children are inspired to be creative. We foster active learning and make full use of the school’s outdoor grounds on a daily basis where the children enjoy a variety of creative and exploratory activities where having fun and getting muddy go hand in hand with learning about the natural environment. We develop a strong partnership with our parents and greatly value the contributions that they make to their child’s learning. We therefore encourage parents to be a part of this process and very much welcome their support.